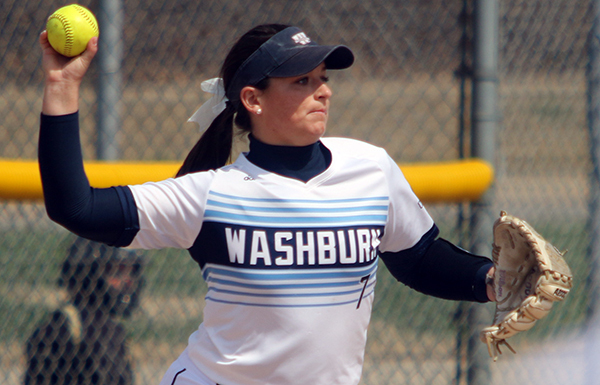 Infielder Savannah Moore, bba '18, found herself part of an historic season for the Ichabod softball team, collecting Washburn’s first regular season MIAA championship since 2002. She got to enjoy this feat under the leadership of second-year head coach Brenda Holaday – her former high school coach. Moore won a state championship at Washburn Rural High School in Topeka her senior year under Holaday’s leadership. She graduated this spring with a bachelor’s degree in marketing and management, but with a year of athletic eligibility left, she will return and pursue a master’s degree, looking to go out on top again under Holaday. As an Ichabod, Moore has appeared in 87 games with 69 career hits, 48 runs scored and 44 RBI. Additionally, she recorded 15 multi-hit games and 10 multi-RBI games – all while being a two-time member of the MIAA Academic Honor Roll. She was a first-team all-MIAA third baseman this year. Not only can her success be attributed to hard work, but also to the scholarships she receives for softball. “Scholarships are really important because they allow the athletes to be flexible, and it really shows the athlete they are supported by the University and those who support the University,” Moore said. After obtaining a master’s degree, Moore hopes to pursue a career in professional sports marketing or sports special events. 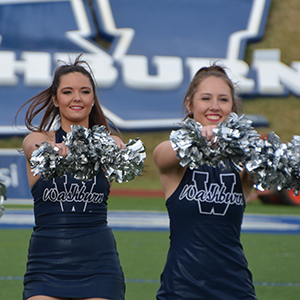 You can give student-athletes like Savannah Moore similar opportunities by supporting the Ichabod Athletic Fund with a gift online. You can also contact Bruce Steinbrock by email or at 785.670.1334 to learn about creating an endowed scholarship or estate gift that will change student-athletes' lives for generations to come.